Claptone, Berlin’s masked producer took the electronic world by storm in 2013 with Heep House wonders Wrong / No Eyes on Exploited Records. His full length album ‘Charmer’ with signature tracks ‘Heartbeat’, ‘Leave Your Light On’ and ‘The Only Thing‘, released in 2015, took him beyond 30 million streams on Spotify, and sent him on a more or less permanent tour around the world. 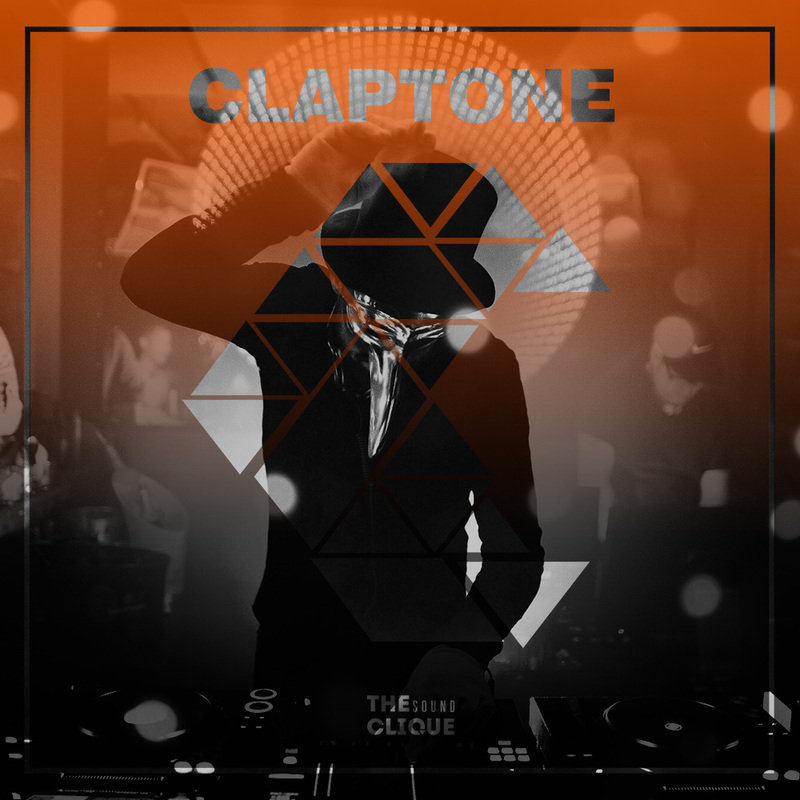 In 2016 Claptone followed up the big success of ‘Charmer’ with a double mix compilation album on Defected, featuring exclusive remixes by Claptone of ‘Planet Rock’ by Roland Clark and ‘People On The High Line’ by New Order. This weekend he is headlining Backyard Sessions in Folkets Park Malmö. Ahead of his upcoming show in Sweden, we caught up with one of the djs dictating the current trends in electronic music. Ever since you started becoming popular, you have been asked by almost every interviewer questions about your mask. You say that we are all masked. Does putting on the mask and going on stage change you as a person? What do you feel when you put on the mask? Furthermore, with a risk of having this question ignored, who is Claptone without the mask. How do you go about your daily life? My mask enriches my persona, but make no mistake: there is no Claptone without a mask. In a previous interview you mention that when you started experimenting and producing music as Claptone, you did not want to perform and dj live, but when you did, you realised how much you like it and decided to continue to do so. Are you continuing to do music and perform solely because of the fans, the magical emotions and energy you share together with them when performing? I make music for myself as a means to find my human side. Music is an adventure as long as you have the luxury to be free within music. I think you are aiming at money with your question, so money is a means to be free in life, being free in life helps you to create freedom within music. By playing live and doing Dj sets the direct interactive process through music is added and it sure is a benefit to be able to make dancers happy, experience a non verbal exchange between oneself and a crowd. How did your remix for the “Gorillaz – We Got The Power” come about? What was your initial thought when you heard the original? I met the Gorillaz in their retreat when they were thinking about making a new album and the played this song to me. The message is love and tolerance, this message is more relevant than ever and you don’t have to watch the news to know that. I instantly thought that I have to bring this song into the clubs of the world, spread the message, spread love. In a world where technology has penetrated our lives to such an extend, where do you draw the balance between technology and authenticity in music? And how do you make sure your sound has that real, raw, dirty (as you’ve previously described it) feel? I don’t believe in authenticity, it implies that we all have just one true face and would have the option to always act from the same perspective. Adapting to other people within communication, well everything we do could be routed into one true self. As if you know Michael Jackson when you watch all the documentaries about him and listen to all his music. It’s a romantic and partly naive desire to believe there is one genius musician and you can get so close to him, could touch his soul. The term‚ authenticity‘ has been misused far too often and implies that there’s a real, natural often simple truth behind a complex web of interaction. And it denies the theatrical element to a certain extent, turns performative play into lies or better does not allow to accept perforative play as truth. My sound is organic, dirty but beautiful. It does not deny emotions and leads me to find the way to my human side. It’s not an expression of my authenticity, I am not a pretentious old rockstar. I am a performer as I think we all are. And yes I am old. Your Golden Summer tour includes over 70 dates, which only means a lot of traveling for your shows across the world. How do you spend your time in the planes or airports? And how do you manage to keep fresh with such a busy schedule, apart from the mystery that you can do two gigs at the same time? In summer it’s very busy as there often are festivals in the afternoon, club gigs at night, beach parties the next day. It sure is nonstop traveling and it drowns you to a certain degree. Being with the crowd, playing my sets, the act itself that i get paid for pays me back double, because it fills my energy up when me and the people have a great time together. The in-between I read a lot and work on music too (my form of mediation at the moment). And I try to sleep as much as I can. You are coming to Sweden as one of the headliners of Backyard Sessions XL. What are your expectations and what is the first thing that springs to mind when you hear Sweden? I haven’t been in Sweden for far too long is what jumps to mind. And I am very happy to jet over to you guys cause I know I have kept a lot of people waiting for ages. What are your plans for the rest of 2017? Will you be working on new music? Are there any new directions you would like to experiment with as you move forward as an artist and innovator of the electronic music scene? Should we expect more of the same or are you ready to branch off into something new? I am producing my new album at the moment and there will be a new single later this year. Without questioning what you have done so far and trying out new things there would be no joy in making music. But I can not deny my own history, I am making music on basis of that history. I like the last bit of your question here, because you try to imply that Claptone has been all the same so far and that my music might need a revolution from within. People who know that Claptone is not necessarily „raw industrial techno“ as you put it, will be silently smiling about this question, well at least I do smile. I will give you the pleasure of an equally funny answer. How does it say on these T-Shirts that drunk tourists buy in Thailand: „same same, but different“. Catch Claptone alongside ANNA, Recondite, Tensnake, Finnebassen and many more at Backyard Sessions, Folkets Park, Malmo, Sweden. Event link here. Connect with Claptone on Facebook and SoundCloud.